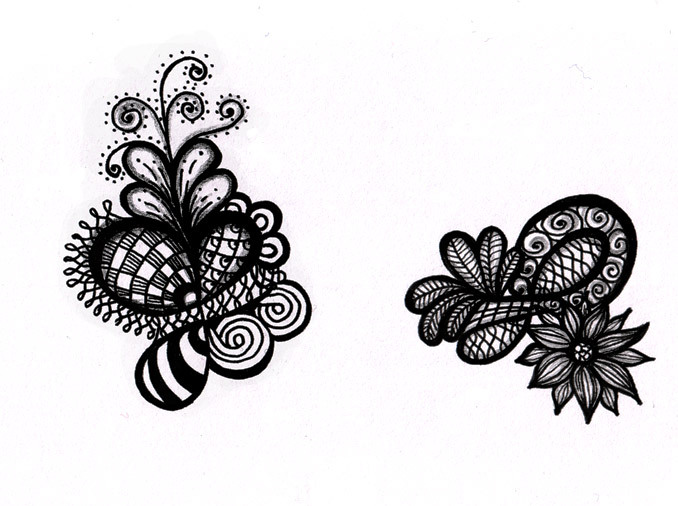 Random doodles and tangles that don’t really fit into other categories. 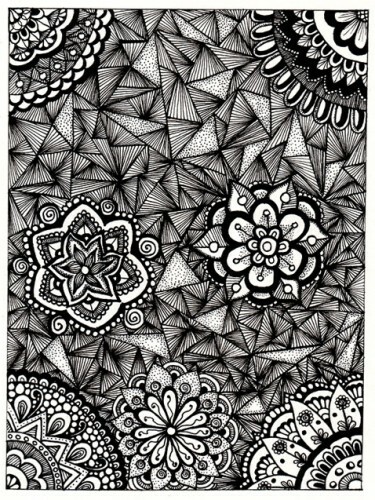 A full page zendoodle from my art journal. 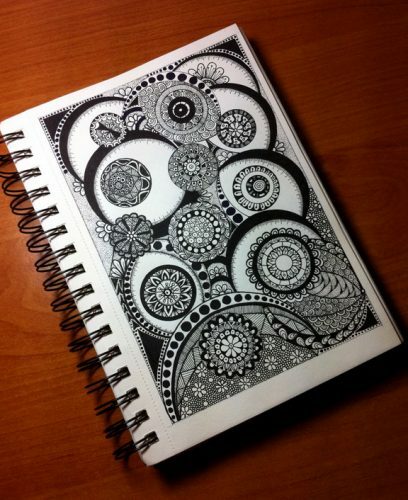 For this one I drew a number of small mandalas and tangled around them. I used a variety of pens: Staedtler Triplus Fineliner and all the pens from this set of 4 Faber-Castel PITT Artist Pens . A quick and fun small doodle that turned out quite nicely. 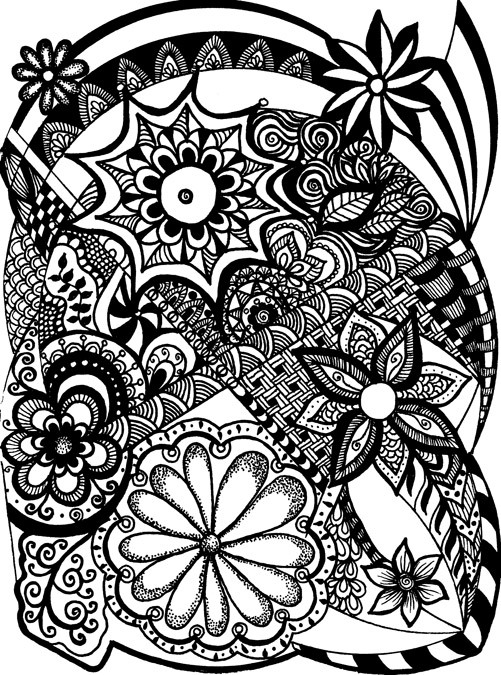 I used a Staedtler Triplus Fineliner and for the finer lines and the dots I used a Faber-Castell pen, but any 0.1 fineliner will do just fine. 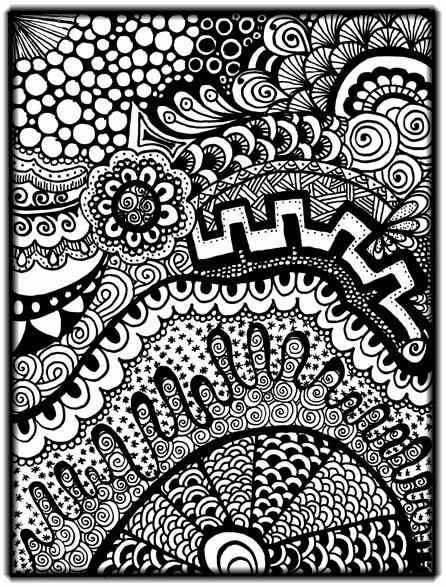 A zentangle design done with my favorite set of pens – the Faber-Castell PITT Artist Manga Pens, Shades of Gray set. The variety of hues provides opportunities for achieving interesting effects and can also be used for shading instead of pencils. If you, like me, occasionally have a hard time choosing the right colors for a drawing, you can always pick a couple of grey pens. An impromptu video I made by just setting up the camera and doodling without any preparation. For all my previous videos I planned the design in advance, but this turned out to be fun and in the future I’ll continue to make more of these videos. The pens I used: Faber-Castell PITT artist pen S and Uni Pin Fine Line 0.1. 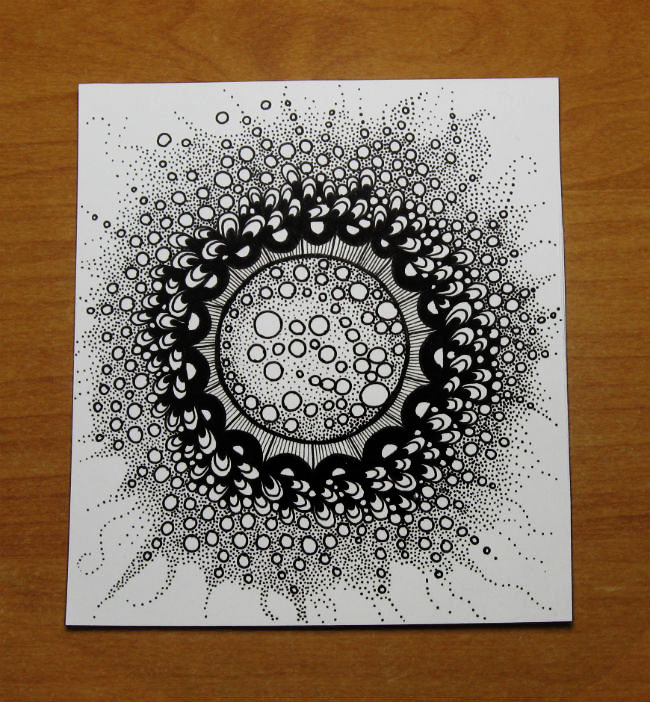 Starburst abstract doodle done with Staedtler Triplus Fineliner on card-stock. This pen is great for glossy papers – it leaves a really smooth mark and doesn’t feather or bleed. Click on the picture for a larger image. Here are some doodles from my workbook. A couple of quick doodles. 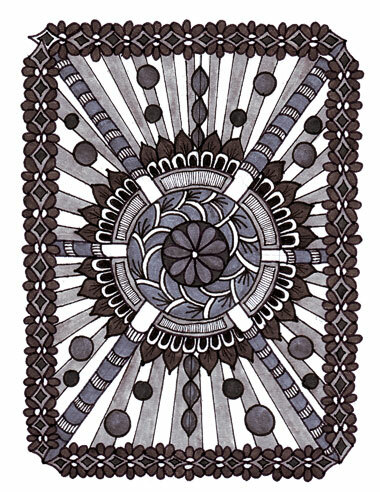 Done with Black Detail Pitt Artist Pens 4Ct Set (Design Memory Craft) and shaded with a B pencil.